Returning to the rear door of my garage after photographing insects in my backyard I spotted a pillbug on the bricks outside the door. Spotting pillbugs is nothing new, they are all over the place. Anyplace that is dark and damp will have its share of roly polies, as they are sometimes called. 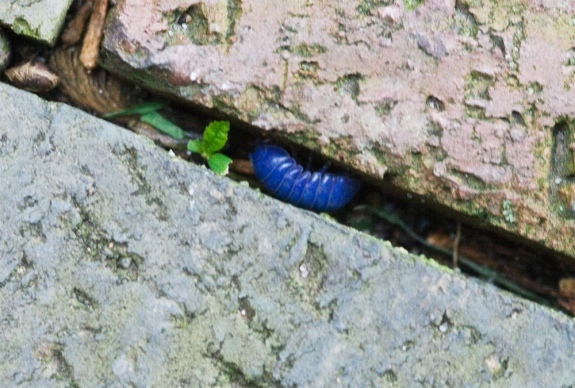 There was something quite unusual about this pillbug, however, it was blue!!! Not just a hint of blue if you looked at it just right, but a solid shade of blue as you can see in the photo below. I had photographed pillbugs before but knew very little about them. I knew they were not insects but were crustaceans, I knew they rolled up into little balls when frightened and I knew they liked dark damp environments. With so little knowledge about this species I knew there was no way to determine why this guy was blue unless I found the answer on the web - and I did. 2. Pillbugs breathe through gills. 3. A juvenile pillbug molts in two sections. 4. Pillbug mothers carry their eggs in a pouch. Poor little fella. I hope he gets better. Maybe Grandma needs to make some noodle soup. Interesting but hope he recovers. Sounds like Nancy feels the need to assist. I tend to be blue when I'm sick but it usually isn't as obvious! Fascinating facts!! That is so fascinating!! Thanks for posting. 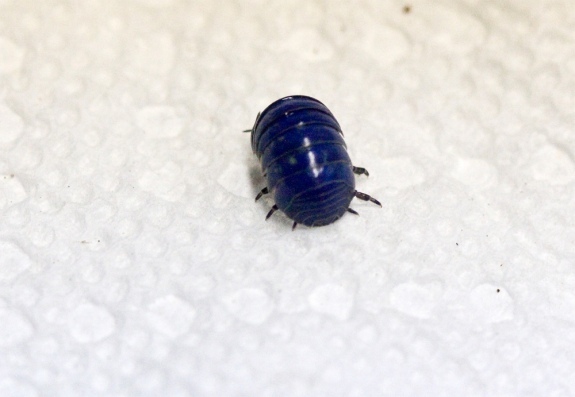 I certainly thought I had a rare and wonderful pillbug when I discovered a beautiful blue one under some firewood. I ran to get my camera to capture the image, but by the time I returned it had vanished. Glad to know the reason for the unusual color, yet had hoped for a far more positive cause. Sorry, but from what I understand you can't cure a "blue" pill bug. Here is a site with some interesting facts about pill bugs that may be helpful. I love pill bugs, I did a project on them. They can be healed by rubbing something rubber, or the bottom of a shoe to it. the rubber replaces the sick cells. Good luck!!!!!!!! Well hmm cus me and my friend at my school mke roly poly farms and just a couple days ago we found a 1 inch long one that was as blue a the sky. Is there a reason for the size Cus all the other normal ones we found were tiny is there a reason for its size??? I have seen non-blue ones before that seemed to be giants. I have no idea why their size is so much bigger than a "normal' bug. I found a blue one in my back yard,and it was really tiny.Is there a reason? I read that they turn blue because of a viral infection. Did the pill bug sneeze when it had a viral infection? 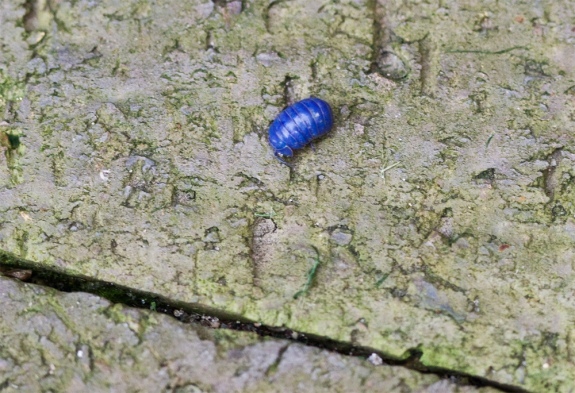 The blue pillbugs are hosts of a parasite, which my Dad discovered. Wondering about the unusual blue color, he dissected many that he ran across at the San Diego Zoo, where he was the senior pathologist, in the late 1970's to the mid 1980's. He discovered that all the blue pillbugs were infected with a previously unknown mermithid nematode, which was then given the identification of "Thaumamermis Cosgrovei". And now you know. I have not seen any others that are blue. I play with these things all the time! Never seen a blue one. I guess ones in my area are healthy. Ive heard of feeling blue when your sick, but this gives a whole new meaning! So sorry. I am praying, god loves you and the rolly polly!